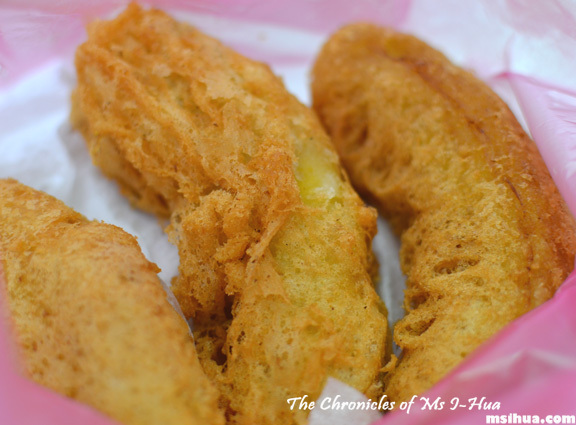 My earliest memories of food always revolved around my grandparents. I spent most of my early childhood days with them as they entered their 60s. Grandma was super active back then, and would be in every social gathering you could imagine organised by the senior citizens club she joined. There would be singing, dancing, potlucks, trips, charities, you name it, they took part in it. And most of the time, I’d be in tow. One clear memory I have is when the ladies would go for their morning walks and I would be able to follow grandpa down to the coffee shop with his friends, and sip from his saucer when he ordered his coffee or tea (kopi-o and teh si kau). It would always be a coffee shop in the local area where we were living at in PJ (Malaysia), usually in the areas of Sea Park, Paramount or Sea View (such lovely names). When I was around the age of 5, grandpa would follow me on my minibus to kinder and on the way home, he would be waiting at home with hawker food which he would have bought after his morning gallivanting around town. Around that time, there was a coffee shop which held within its premises a bunch of hawker stalls which would be selling the most authentic Penang style hawker food. 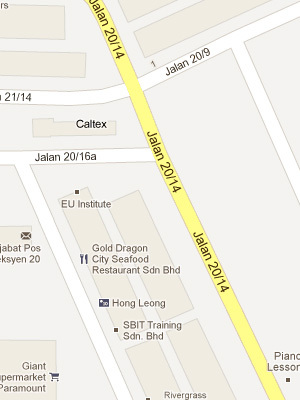 The coffee shop is currently named Kedai Makanan O & S Restaurant. 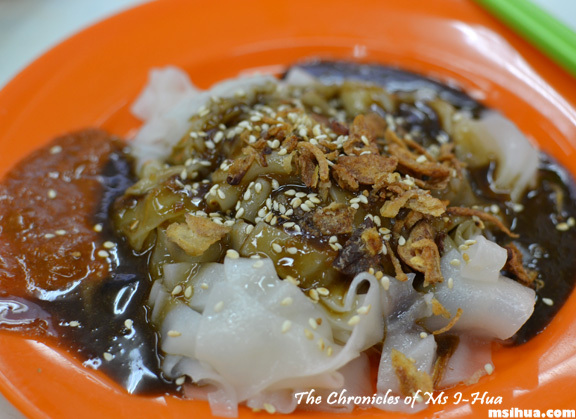 The Kuey Teow T’ng shop was one of our favourites (and still is) along with a whole range of delectable sweet torture. Over the years, many names have come and gone but the stalls remained the same. We frequented it so often that the stall owner knew my name and whenever I would turn up, he would shout from his stall “I-Hua!! !”, which got kind of embarrassing as I got older and now I just laugh when I visit. 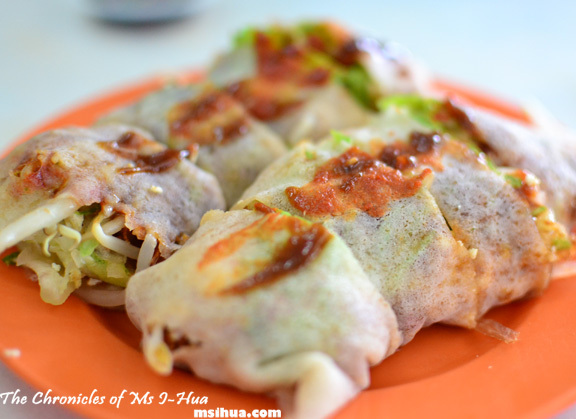 Penang Popiah – Penang style savoury crepe rolls stuffed with turnip, beansprout, beancurd, eggs and lettuce leaves. Sometimes in certain stalls, you would get different fillings on offer. You can choose from crab meat, prawn or chicken. Penang Chee Cheong Fun (Steamed Rice Rolls) served with dark shrimp paste (heh ko), chilli paste and fried shallots. 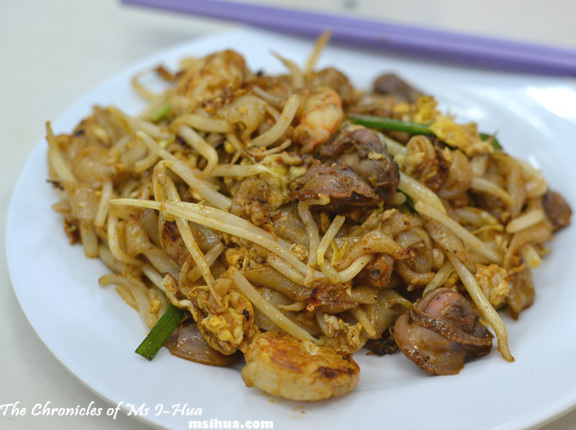 One of my favourite types of flat rice noodles. Completely different to the Hong Kong Style Cheong Fun in style and taste, but just as unique and delicious IMHO. 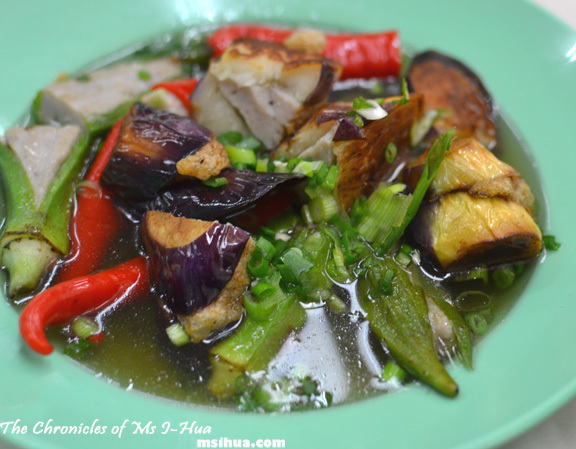 Yong Tau Foo – Stuffed (with fish paste) Eggplant, Okra (Lady Finger), Chillies, Beancurd. I usually keep it pretty safe with my choices, but there are other stuffed vegetables or tofu on the list. 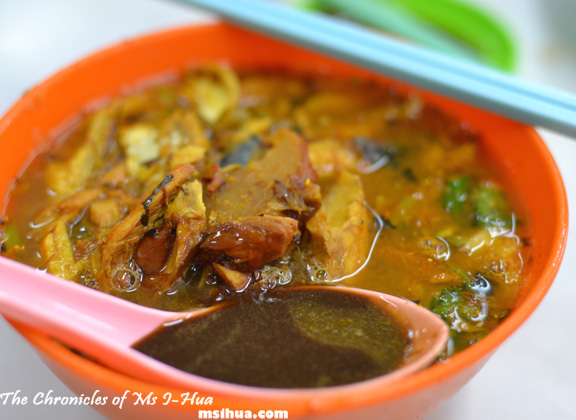 This Yong Tau Foo stall is quite popular and often has hordes of punters lining up waiting to put the food on their plates. Honestly, with so many good food in this coffee shop, I have no idea why people bother. I’m happy to just go from stall to stall and order a serve of everything! 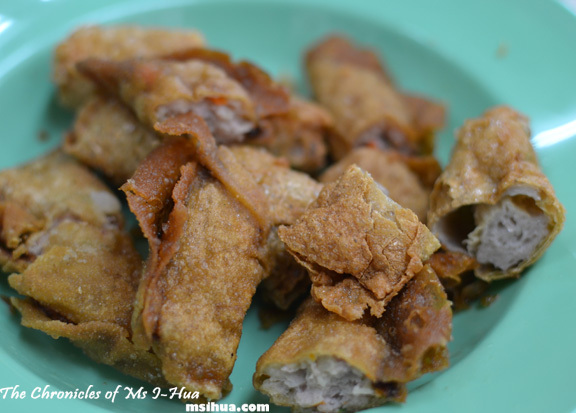 What I love most when eating Yong Tau Foo, is the crispy deep fried dumplings and wan tans that it comes with. I always tell them to plate them separately to avoid it going all soggy in the broth. 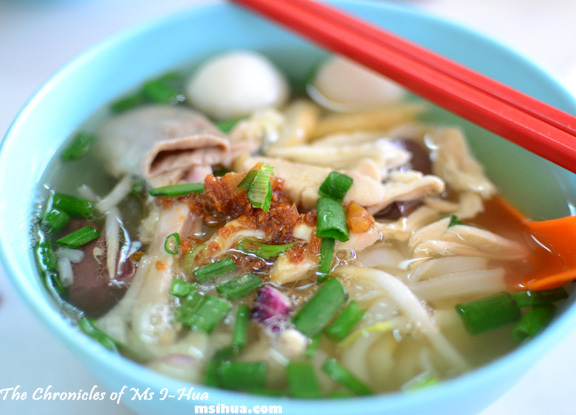 Kuey Teow T’ng (Flat Rice Noodles in Soup) served with sliced chicken, fish balls, fish cakes, beansprouts, blood jelly, pork intestines. I grew up with this dish. Literally. Penang Assam Laksa (a Sour Tamarind, Fish Based Broth with Noodles) usually served with pineapples, cucumber, red onions, red chillies, shredded lettuce, mint leaves, ginger flowers and dark shrimp paste (heh ko). It definitely is an acquired taste and not many hawker stalls get it right. But it is an amazing dish if you can get past the fishy taste. 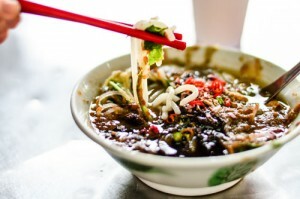 Heck, it’s number 7 on CNN’s 50 Most Delicious Food list!!! This Assam Laksa stall however is famous for their Curry Mee and if you do place an order with them, you are usually told that there will be a 15-20 minute wait for your noodles to be served (that is a very long time to hungry Malaysians!). Penang Char Kuey Teow (Wok Fried Flat Rice Noodles) with prawns, cockles, egg and beansprouts, this dish needs no introduction. The only thing missing is the shredded crab meat. All you need is Wok-Hei (wok breath), some fresh cockles and pork fat and you’ll have an amazing CKT! To finish a big hawker food meal, you can end it a few ways. You could finish with an ice cold dessert like Ice Kacang, you could get some freshly cut local tropical fruits, including papaya, guava, custard apples (the list goes on) or you could have some freshly deep fried Banana Fritters. And that my dear readers, is how we roll. Hahahaha soory! I love it too! I grew up with quite a number of things you’ve listed above… but stopped having most of them when my parents became super health conscious. Michelle recently posted…Girl, burnt out. Oh why? There’s nothing too wrong with them! Oh boy, it is too close to lunch time for me to be looking at such fabulous food. Fortunately I’m not much of a seafood eater so despite the fact that this all looks really good, the descriptions aren’t making me want them too badly (it’s hard to write that in a way that makes it sound good but it actually isn’t a bad thing … hope that makes sense). I would happily roll all over that popiah. I would happily roll you in that popiah! Man I want to do a popiah party like my aunt used to do, but its so much prep work! Hahahaha Yayy to getting the hunger pangs going!